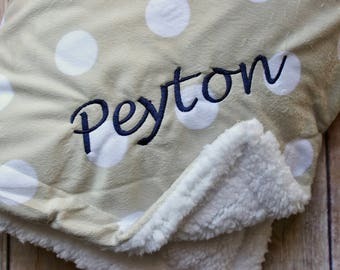 This listing is for a personalized and custom baby blanket for your sweet baby girl. 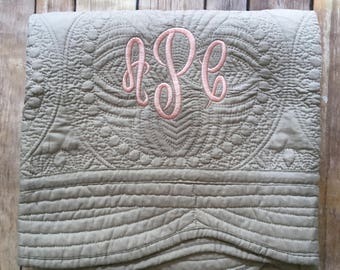 The ruffled edges of the blanket add a feminine touch and make this blanket perfect for the newest sweet baby girl in your life! 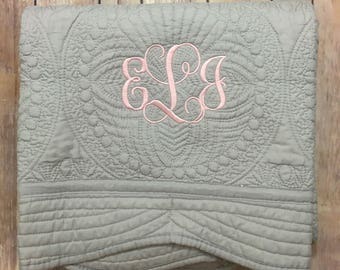 This blanket can be customized with the elephant applique shown or a different design if you would prefer something different. Colors and patterns can also be customized if you would prefer a different color scheme. When checking out please let me know the baby's name. This came out so beautifully and we are so excited to use it in our daughter’s room! Thank you!! 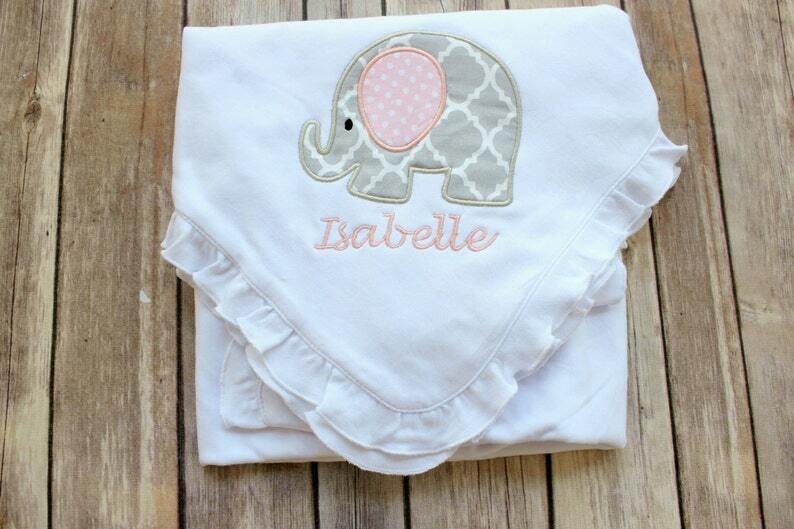 Perfect gift for a baby shower! The mom to be loved it! Bought this for my best friends baby shower. She loves it!